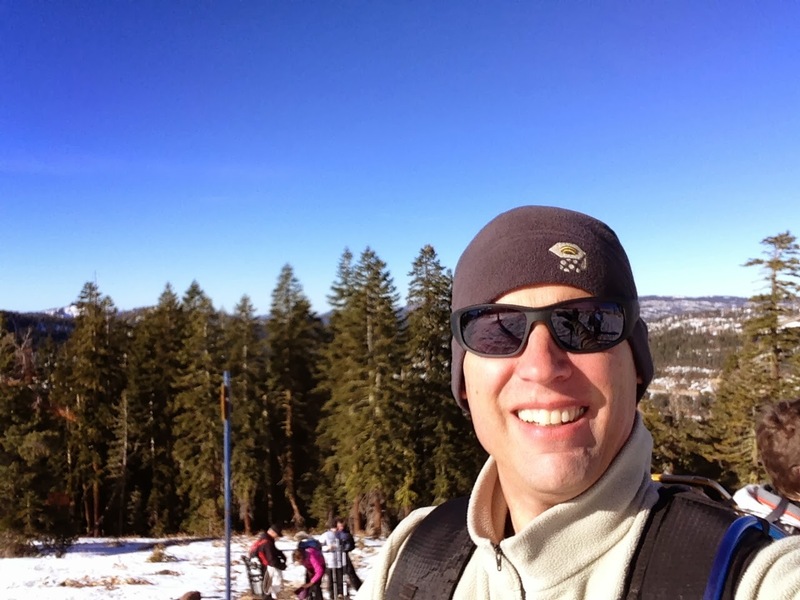 I went snowshoeing yesterday for the first time in about forty years. Bayside Adventure Sports had a trip planned to Mt Judah and Donner Peak that I attended. What a great way to meet other people with a love for mountains! It was a lot of fun to be one of a group of people that shared a common interest and were going the same place together. I took my brand-new bright yellow MSR Lightning Ascent snowshoes and broke them in. The paint on the bottom edges is actually scratched and chipped! I think the tops are scratched too, especially in the front. I kept stepping on the front while taking a step. I learned that this is something you want to avoid doing unless you like planting your face into the snow.I definitely need more practice. I think perhaps walking more bow-legged like a cowboy might make the tripping less frequent. I wore my lightweight trail running shoes. 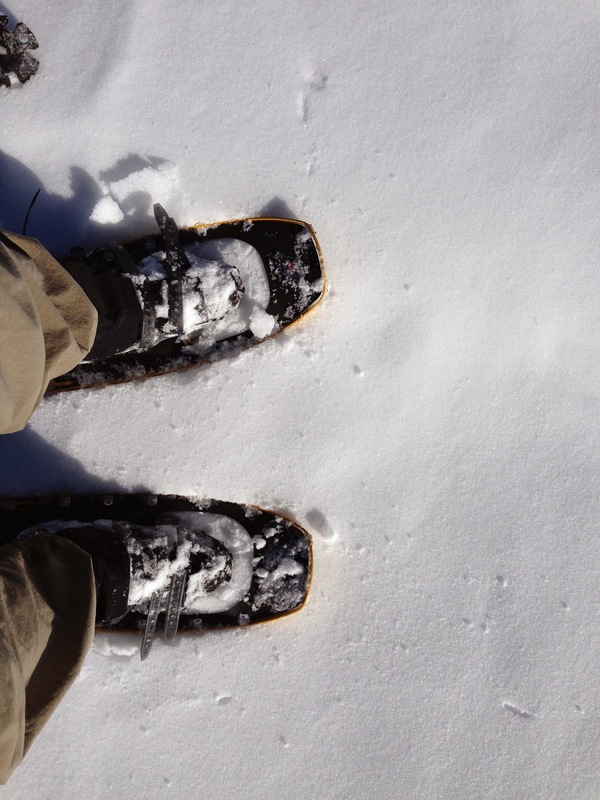 I found that snowshoes and trail running shoes are a workable combination. I like the freedom I felt in my ankles not being rigidly strapped into a thick snow boot. There wasn't much snow so the first part of our trip was a hike in somewhat snowy forest. I had my snowshoes strapped to my pack. I thought it looked pretty cool having them on my pack. They are supposedly 'ultralight' at roughly 2 pounds each. That is more weight than my tent and sleeping bag combined. Other than the weight, I really liked having them for traveling in the snow. It remains to be seen as to whether or not they make it on my JMT or PCT trips.